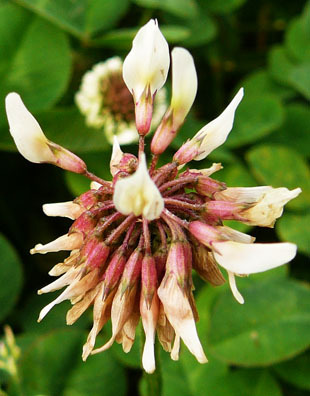 nitrogen-fixing herb, growing up to 50cm. 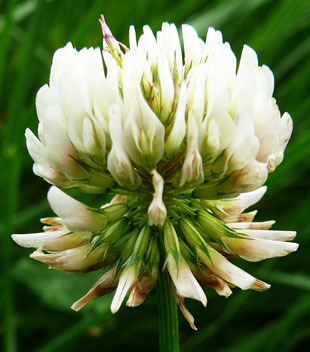 The flower stalks, pedicels, are the same length as the calyx-tube. 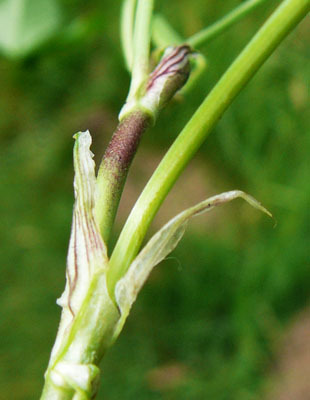 The pedicels become deflexed after flowering. 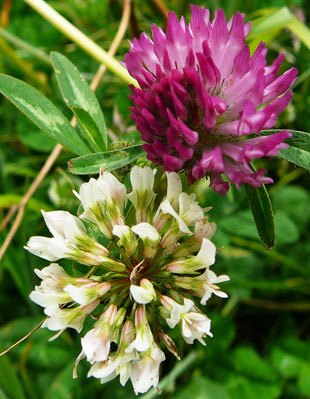 Leaflets are oval, up to 2cm and with a pale V-shaped mark. 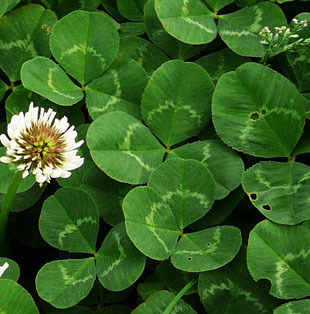 The leaf stalks, petioles, are variable but can be over 15cm. 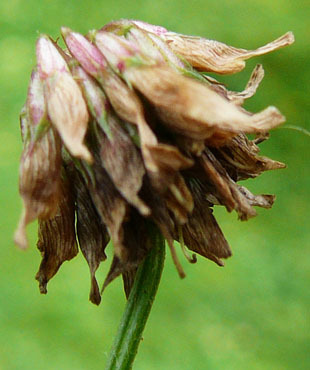 Stipules are papery and narrowly-oblong with short points. 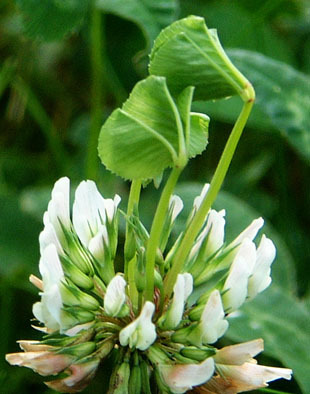 The stems root strongly at the nodes, enabling the plant to spread. 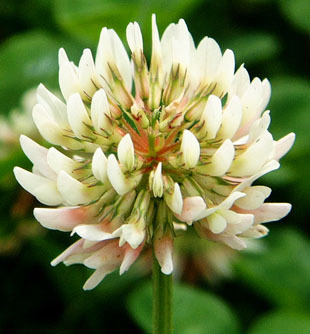 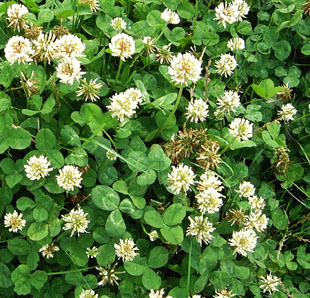 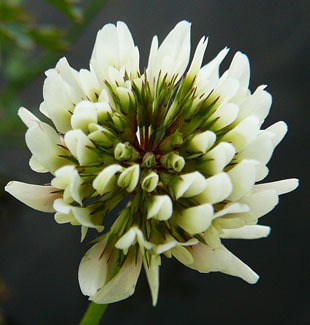 White Clover is rather variable in appearance.